Welcome to We Care Lawn Care Inc. of Holland, Michigan. 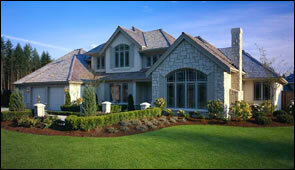 We are your lawn care and landscaping specialists in West Michigan. We Care Lawn Care is a full service lawn care company. We will take care of all aspects of your yard and landscaping needs. Our services are better because we care about all of our clients and take pride in all of our work. Our trained professionals will work to make your lawn greener and your garden look nicer, while maintaining a more weed free environment. This gives you more time to enjoy your lawn and garden. Our worry free maintenance plans can help give you peace of mind while ensuring a beautiful landscape. Servicing Holland, Grand Haven, Muskegon and all of West Michigan. From turf maintenance and weed control to landscaping and snow removal, We Care Lawn Care has you covered. Please browse our website to learn more about our company and our great services. And always feel free to call us if you have any questions (616) 396-5560 or click here to email us.